Having an organized email will save you a lot of precious time. Checking and reading emails you don’t care about, will not only waste your time, but can cause you from missing important emails. Regular email like Facebook and Google notifications should automatically stored in a separate folder with a label or you can delete it automatically if you don’t want to keep. Your monthly bills and receipt must also separated, the good news is you don’t need to do it manually. 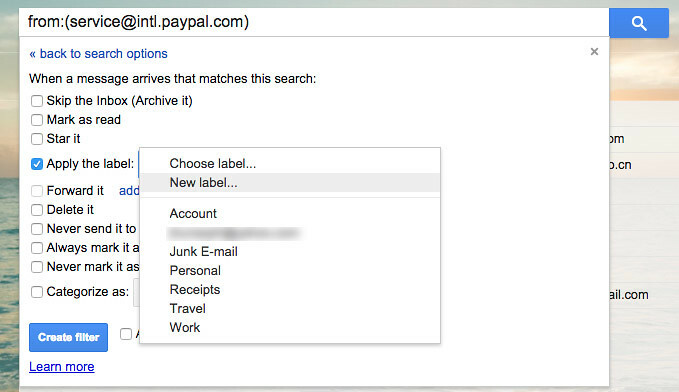 You can create filters and apply labels to the emails with the same origin or depending on the search query that you set. To organize your emails, you can perform some of these tips. I will use my gmail account to create filters and labels, although some controls are different in other email clients, the principle is almost the same, don’t worry in my future post I will also write a tutorial using Yahoo mail, Outlook etc. Sometimes we can’t avoid giving our email to websites, especially if we want the content in exchange of email subscription, although we can provide a dummy email, beginners don’t have an idea about this. If you have already fallen into the trap of these websites, most of the email services that they use have an unsubscribe option, you can see this small link located at the top or very bottom of the email. If the emails is not important to you, unsubscribe to prevent the emails from coming the same sender. 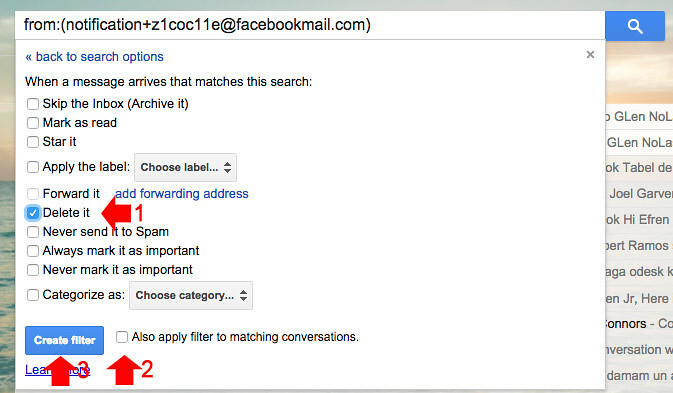 Since I am using gmail in this tutorial I will remove first the default category in the inbox to make it easy to organize. To do this, click on the gear icon and select “Settings” on the drop down menu. Inside your gmail settings, select “Inbox” then choose “Unread first” in the Inbox type to show first, all the unread messages and remove the default category. 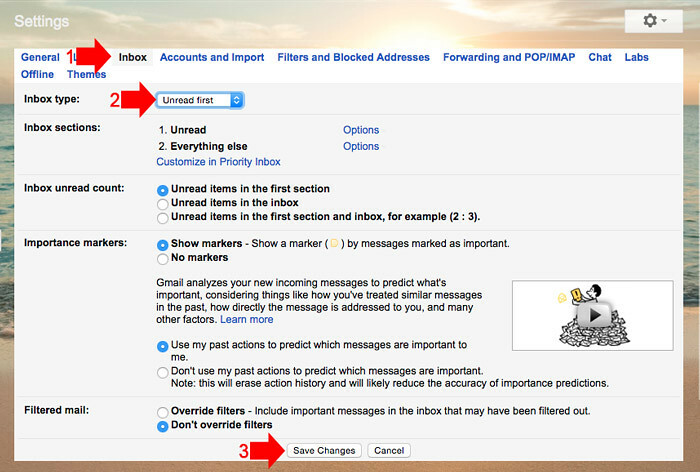 Don’t forget to save your changes, once you save these settings you can easily organize your inbox, go to the instruction below. All the emails that you don’t want to reach your inbox, you can direct it to trash using filters, open the email that you want to throw directly to your trash, for me, I want to automatically delete the Facebook message notifications, since I already read the message in my Facebook inbox. On the filter search, you can fill up the subject, the words included, etc. to search and filter the message that comes into your inbox, in my example I just want the email that comes from Facebook message notifications. When you’re done, click “Create filter with this search” link. 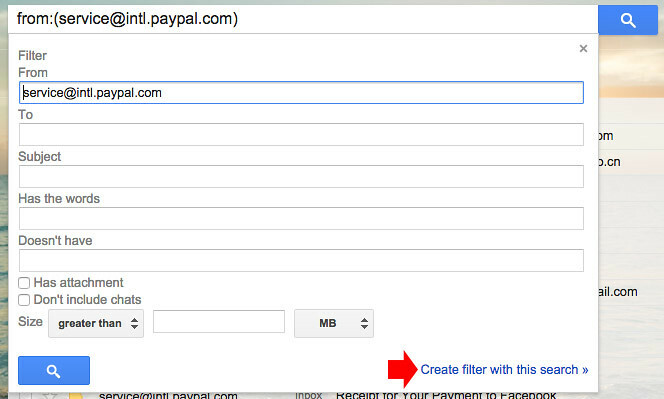 On the next window, select “Delete it” and click “Create filter” this will delete everytime an email arrive coming from the same sender you entered in the filter search options page. Now, if you already perform the tips that I mentioned above, your email inbox has only the mails which you want to keep but still not organize. To make it organize just like managing your local files, you can separate the emails using labels. It’s like keeping the same emails in one folder to make it look clean. For example, I want to separate all my PayPal receipt in one folder, every time a PayPal receipt arrive in my inbox it will automatically put in my PayPal receipt folder I created. 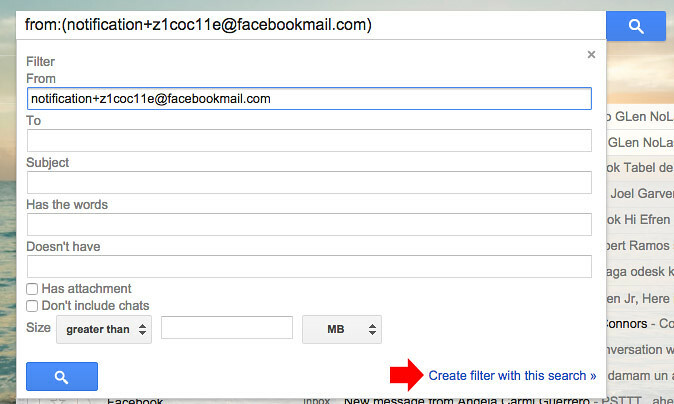 To do this, once the email is open, click More > Filter messages like these. 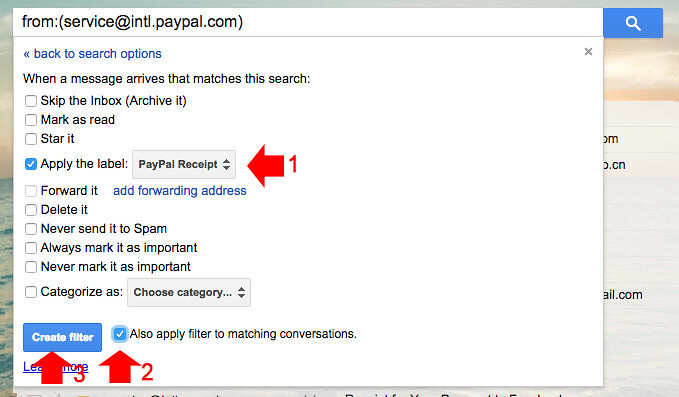 Select “Apply the label” check box then, create new label where your email will be stored. Enter the label name, then click create. Once the label is created, you can now create the filter and don’t forget the check the “Also apply filter to all matching conversation” to include all the same emails in your inbox. You can repeat this method until all the emails are organized and separated with labels, after creating labels you can access it on the left side of the screen. Now you have setup your email exactly how you want it to. Don’t forget to share and like our social media account to receive updates like this. You can also use the comment section below if you have something to share.